← WELCOME JEFFREY VON GLAHN! So there it is – the information I have been waiting for and what do I find out? That he died an accidental death. 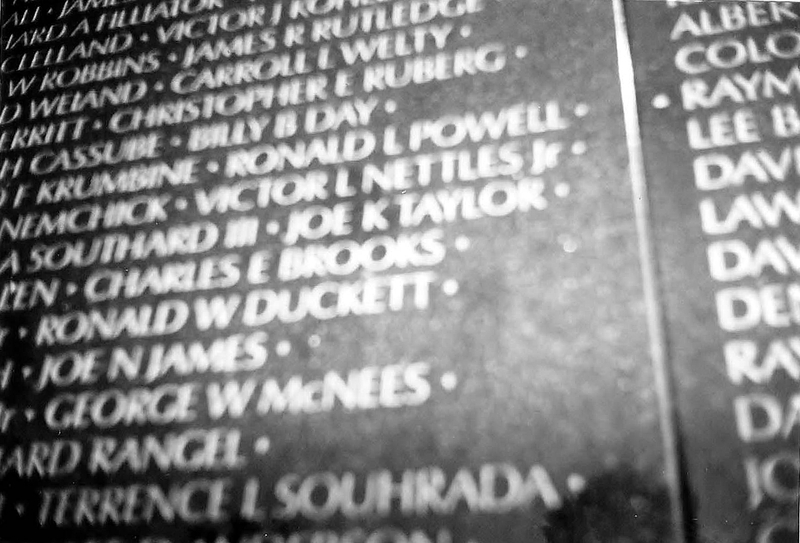 It’s bad enough that the Vietnam war was so unpopular that they won’t even remember these men who died that day, but it’s even more horrific that his death was an accident – pilot error while returning from active duty for rest & relaxation (R&R). I found out a couple of weeks ago that the men and women who died and were from the State of Michigan will be remembered at the Vietnam Veteran Traveling Memorial to be held on June 6, 2015 at the Ferndale Public Library. Hours are from 1:00 PM to 5:00 PM. I learned about it in the Oakland Press the daily paper in my hometown. I paid the library a visit and was re-directed to Garry Taylor at the Ferndale Historical Museum. After I explained to him who I was and what my mission is, he was very happy to get all the information I had on my brother; and he confirmed that he is listed among the Michigan vets. So I should possibly see him on the Vietnam display coming up. When Mr. Taylor discovered that I am an author and saw my books, he immediately purchased 2 copies of Our Lady of Victory, the Saga… and 1 copy of Crazy! Hot! And Living On The Edge!! to put on display at the museum. They are planning on doing a write-up of me and my brother in their newsletter. They are always looking for people to tell their stories and hearing mine was just the “icing on the cake” for them. I went over to the Royal Oak Public Library and the only thing they offered was to try and see if they can find any stories in their newspaper archives. So that was a start in my quest to get recognition for my brother. The next step will be to try and get the print and media on board to do a long overdue story about all of it. Keep watching to find out more about this issue. This entry was posted in Blog Post and tagged 1965, accidental death, August 24, Crazy! Hot! And Living On The Edge! !, Ferndale Historical Museum, Killed in Action, Lance Corporal Ronald Louis Powell, Our Lady of Victory, the Saga..., Vietnam Veteran Traveling Memorial. Bookmark the permalink. I went to the Veterans Memorial Display on June 6, 2015 and was relieved to find that he was listed as one of the Michigan soldiers who served. It was sponsored by the Vietnam Veterans of America, Chapter 154 in Clinton Twp. Michigan. I was able to update the information in the books they had displayed on several tables and I bought a hoodie. I hope you don’t think I am obsessing over this but I just needed some closure. Thanks for stopping by.